Sorema is a manufacturer and supplier of plastic recycling systems, which include sorting, washing, and reclamation technologies. Sorema is also a company that holds one of the largest shares in the international market of PET bottles and containers recycling systems and has built some of the largest and most advanced bottle sorting and washing lines. In each module of the plastic washing line, water is sent upstream to the next module only after being filtered and reused several times. Water flows counter stream to the flow of the plastic and is distributed in a way so that the dirtiest water is used on the dirtiest material and the cleanest water is used on the cleanest plastic. All of Sorema’s products and technologies are the result of more than 40 years of continual engineering and experience in the recycling industry. Sorema offers various sorting and washing systems with capacities that may arrive from 500 to 5,000kg per hour. Modular design allows flexibility of installation in both new and existing facilities. Both hot and cold prewash and washing modules are available depending on the input material and final application of the recycled product. Easy control systems allow maximum visibility of the overall sorting and washing process. The user-friendly interface allows complete monitoring of all the parameters and data of the production process. Not all plastic washing and recycling systems are created equal. Input material quality: The front-end design you choose must be appropriate for the input material. The systems also must be able to handle the input material’s exact capacity and the amount of contaminants it comes with – not just an average yield. Sorema offers its customers a recycling and washing test in its pilot line so as to better define the overall balance of the input material. The number of processing steps: Sorema offers its clients a free estimation of how many steps are needed in order to process the desired input material and meet the final quality requirements. Are abrasive contaminants removed early enough? It’s important to remove inert and abrasive materials in the early phases of the recycling process to minimize the damage to the final product. This can be done by subjecting the input material to a cleaning process in the wear-resistant prewash machinery. This allows for more intensive and accurate washing processes in the following steps. Grinder size: The size of the grinders and/or shredders, should be evaluated carefully, as a grinder is the key part of the entire recycling process. Grinder modules should be sized in such way that allows a longer processing time and a more efficient cutting of the input material. This is done by adjusting calibers for the blades that are attached to the grinder’s shaft. Sorema (Previero) has one of the largest line of special grinder blades intended for post-consumer plastic recycling. This enables customers to choose either one large machine or multiple smaller machines – thereby tailoring the system to their requirements. The ability to customize the grinder module allows customers to simplify the material feeding system and decrease downtime between inputs. Instantaneous throughput: All of the washing lines at Sorema are designed to accept an instantaneous pick of throughput, which allows the average processing capacity to be achieved without the quality of the end product falling. 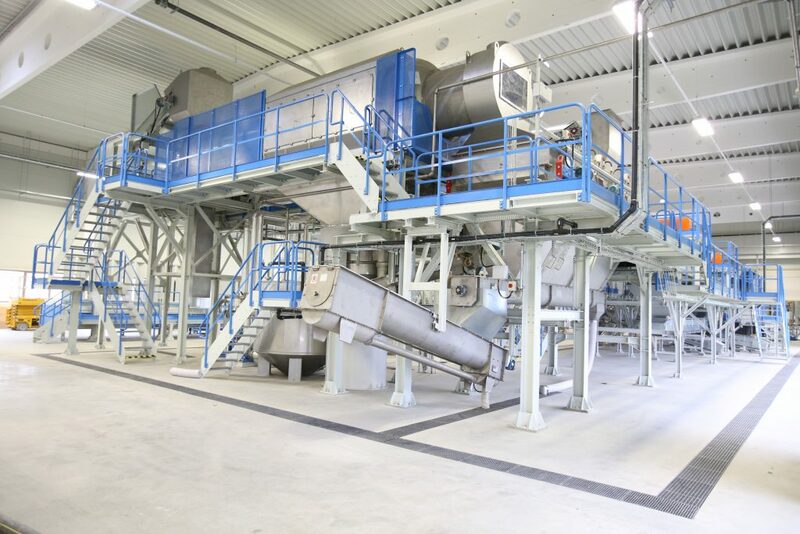 Mechanical preassembly of the entire recycling and plastic washing plant: The preassembling done at the Sorema manufacturing facility significantly reduces the assembly time at the facility of the customer. It also reduces the need for any additional assembly or construction in the field. Reducing this time is essential since this is a critical path in the recycling and washing project when most of the costs have already been incurred. Sorema can provide turn-key project including piping, gauges and valves also for utilities distribution. Local and remote technical support: We incorporate a remote access hardware into all of our systems. This allows us to collect production data while the line is running, troubleshoot eventual problems, make live suggestions and implement software changes when necessary. Our training staff is always on the road and is ready to intervene at all times. Our technicians can also provide additional training to your team and answer any questions about new materials and/or quality issues. Flexibility: The plastic recycling industry is always changing. New packaging and plastic products are constantly being introduced to the market, and customer business strategies often change drastically. This is why Sorema builds all of its systems to be upgradeable and adjustable. All of our systems are built in a modular form so that a new module that supports a specific requirement can be added to the existing system at any time. Lower operating costs: Sorema washing systems require very little handling by an operator. Human labor is necessary for material feeding, unloading, and quality inspection, which is required in almost all plastic recycling systems. Apart from that, all Sorema lines work automatically. Sorema systems also have a very low utility consumption rates in the industry. This is primarily due to a very efficient design that regulates utility use and offers the possibility to recover by-products. 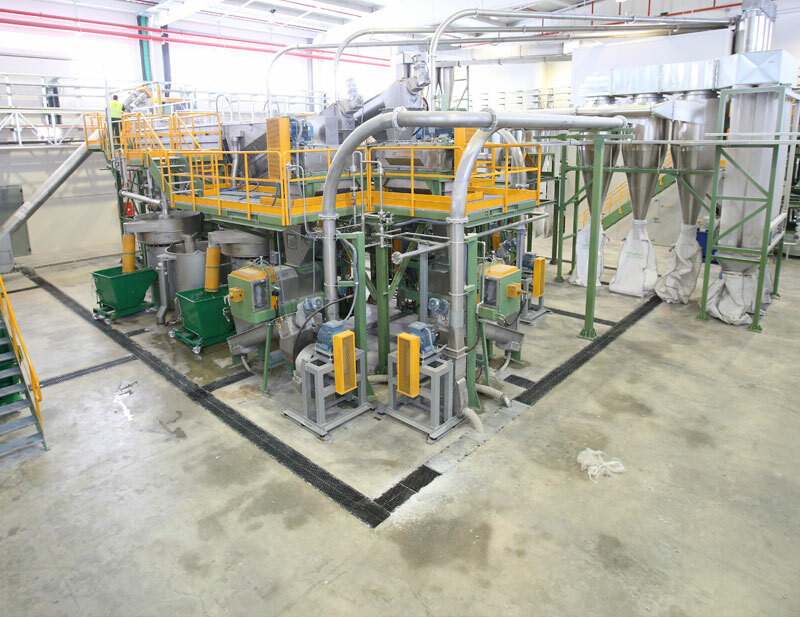 What Sorema can do at start-up phase: Preassembled: All the Sorema recycling and washing systems are fabricated in Italy and assembled exactly how they will be installed on site. All platforms, stairs and ladders are fabricated, handrails assembled, piping flanges welded, instrumentation installed, equipment operated and everything painted, match‐marked and disassembled. When the machinery arrives on site easy fabrication and welding is required. This saves a great amount of time and labor during installation and eliminates a lot of time during start up.